Visit any U.S. Ann Taylor Factory stores location and enjoy shopping during their specail savings event. Selected styles now available with discounts up to 60% from original prices. 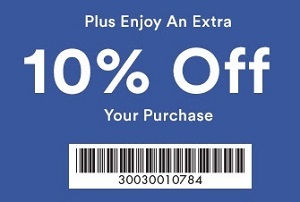 Plus, save an extra 10% off your purchase. To receive your 10% discount use the printable coupon. Offer is valid until June 18, 2017. More details available at any U.S. Ann Taylor Factory store location or Ann Taylor online.